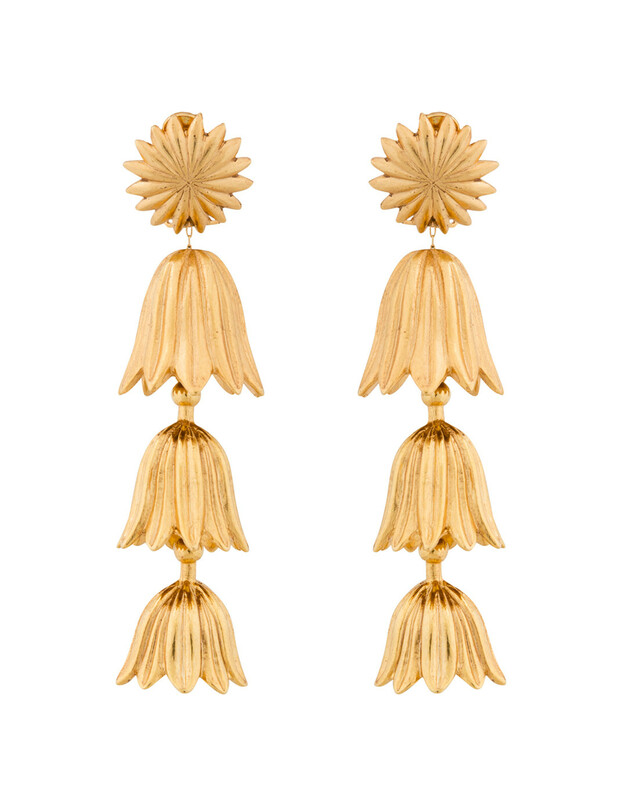 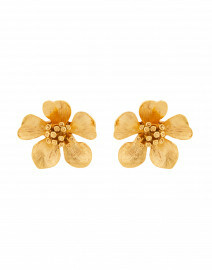 Oscar de la Renta, the leading voice of femininity and glamour, delivers this elegant pair of floral clip on earrings. 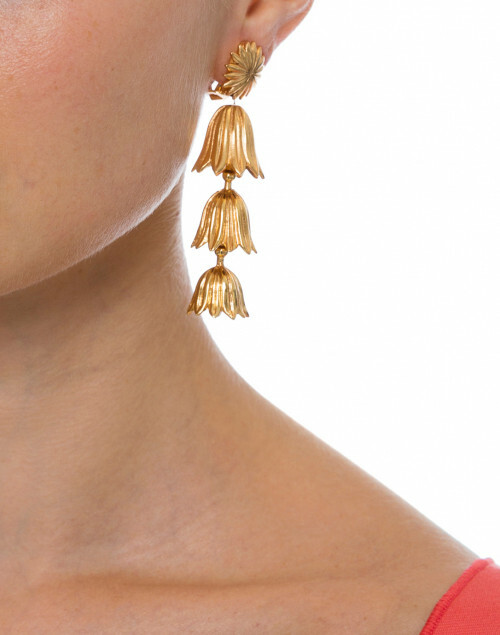 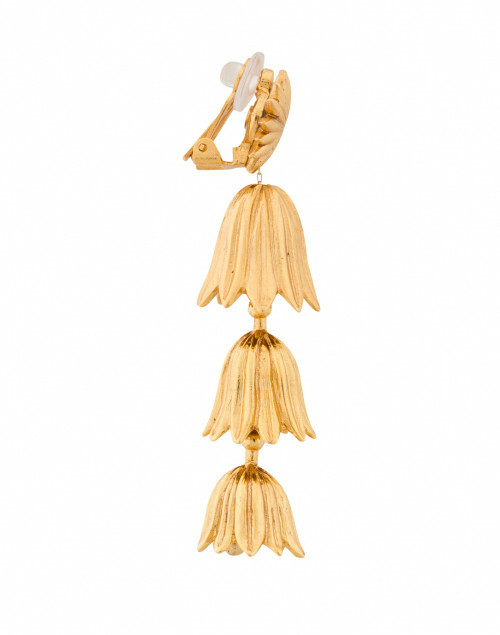 These romantic earrings are sculpted into three tiers of budding flowers, adorned with a glimmering gold tone hue. 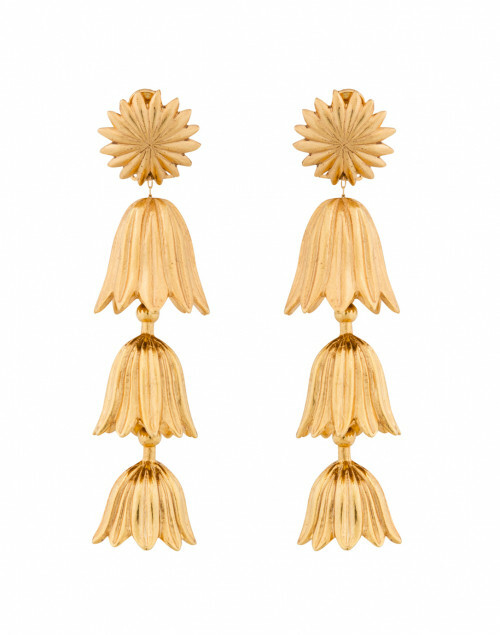 Secured with a clip on style, these timeless earrings are a stunning addition to every jewelry box. 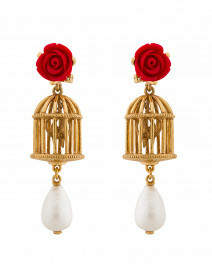 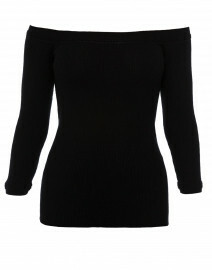 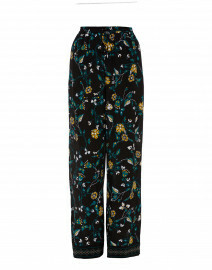 Pair with a vibrant dress and a metallic clutch for a head-turning look , perfect for a night on the town.